OMG Posters! 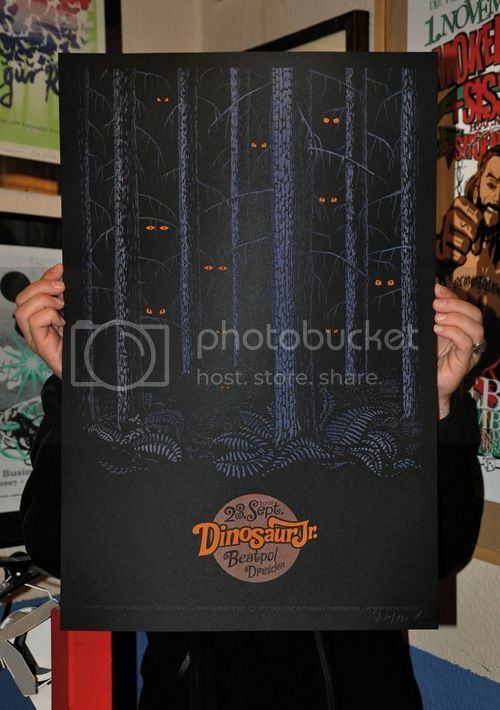 » Archive Lars P. Krause's Dinosaur Jr. Poster - OMG Posters! It’s always nice to get some news from Germany. 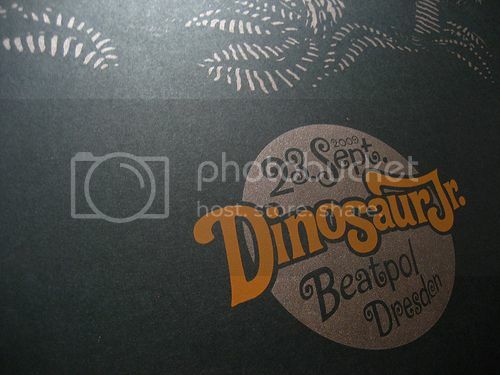 Lars P. Krause did a fantastic job on this poster for Dinosaur Jr.’s recent stop in Dresden. 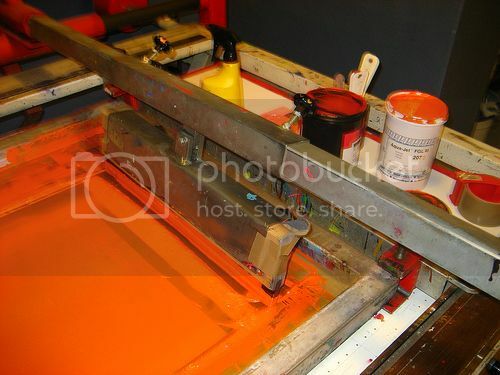 It’s a 16″ x 24″ screenprint with an edition of 100. Barring anything unusual, it should go up for sale tomorrow (Thursday, September 24th). Check out this and other new stuff at Douze.de. I love this! Hope it’s still around on friday. 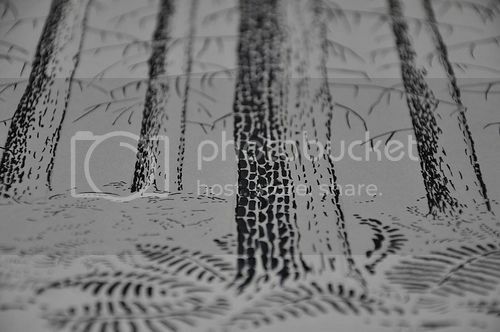 Is anyone else having trouble purchasing this print?